In the words of author Al Raychard, "This book is a result of years of experimentation, frustration, success, and failure in the quest for the thrill that only salmon can give. Of all the species I have caught, none has excited me quite as deeply as Salmo salar." 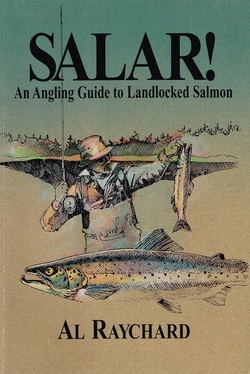 Many outdoorsmen would agree that fishing for landlocked salmon is one of the most thrilling fishing challenges there is...especially when guided by noted outdoor writer Al Raychard. A native of Maine, the author spent five years preparing this guide--a tribute to that magnificent game fish, the landlocked salmon.